A limited-time collection of writing craft books all in one fabulous boxed set. 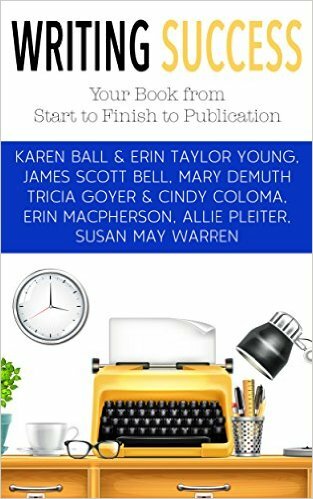 Whether you write fiction, nonfiction or true stories, this anthology has something for you. A dash of love, a pinch of hope, and a whole lot of good cooking! Before Noah and Lovina can build a shop--and a life--together, they must each face heartaches from the past. Is their new love stronger than their regrets? Find inspiration, romance, and authentic Amish recipes for everyone's favorite food--pie! A mom at age 17, Tricia remembers what it felt like to carry the weight of the world on your shoulders. She's also been the coordinator of a teen mom support group for over twelve years, and she's cheered on many young moms―from all walks of life―through their journey. Tricia pours out her heart and shares advice for the hard things you face. She also longs to provide encouragement, reminding you that you can be the mom your child deserves―not in your own strength, but in the strength God provides. This is the true story of Ora-Jay and Irene Eash, Amish farmers from northwest Montana whose lives changed in an instant when a semi-truck struck the family buggy, killing their two young daughters. This is the story of their journey to the hope that is heaven, a hope stronger than the loss of children, family, and a way of life. Fans of Amish fiction will appreciate such a real-life look into the Amish community, author Tricia Goyer, and readers of all kinds will resonate with this tale of courage, resilience, and the redemption found in the grace of Jesus. Moms' Night Out is a novelization of the hilarious family comedy that celebrates real family life―where everything can go wrong and still turn out all right. All Allyson and her friends want is a peaceful, grown-up evening of dinner and conversation . . . a long-needed moms’ night out. But in order to enjoy high heels, adult conversation and food not served in a bag, they need their husbands to watch the kids for a few hours―what could go wrong?